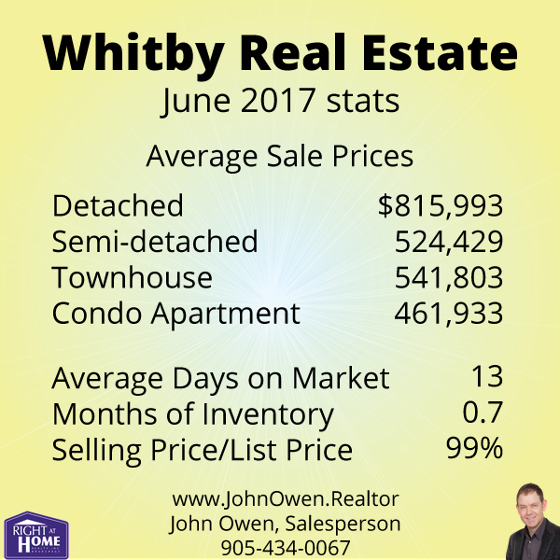 Whitby's real estate market for residential properties experienced a theme common to all of the GTA in June - a cooling off from spring fever. The Toronto Real Estate Board's (TREB) latest market stats put the average property selling at $9207 - up from last year's 590,492 by 20.8%, but well down from April's $779,677. The average selling price of homes in the GTA this June was $793,915. This represents a 6.3% increase over 2016. Sales volume fell 37.7% and new listings increased 15.9% over last year. Active listings also increased - 59.6%, which shows that inventory levels are becoming more balanced. Compared to previous months, this is good news for buyers - the supply is starting to recover from what seemed like insatiable demand just a couple of months ago. The MLS Home Price Index helps to normalize the statistics, by adjusting sales statistics to represent typical homes within MLS areas. 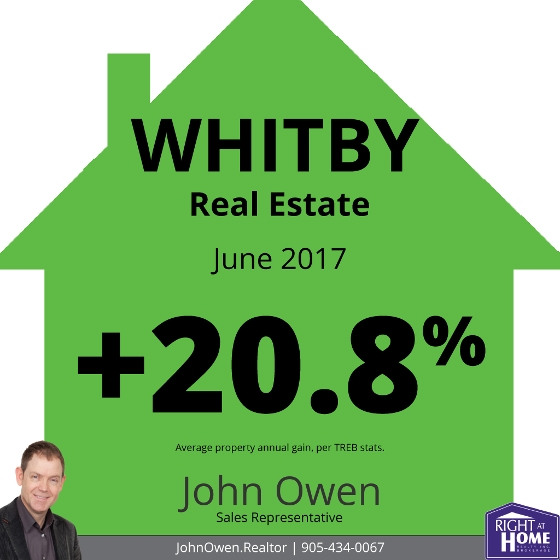 When using these numbers, Whitby showed a composite annual gain of 30.2%, compared to the TREB average of 25.3%. Inventory levels continue at very low levels with 1.2 months of inventory on hand across the board. This means that a current sales levels, all of the property would be bought up in the GTA in 1.2 months (if no new listings were added). 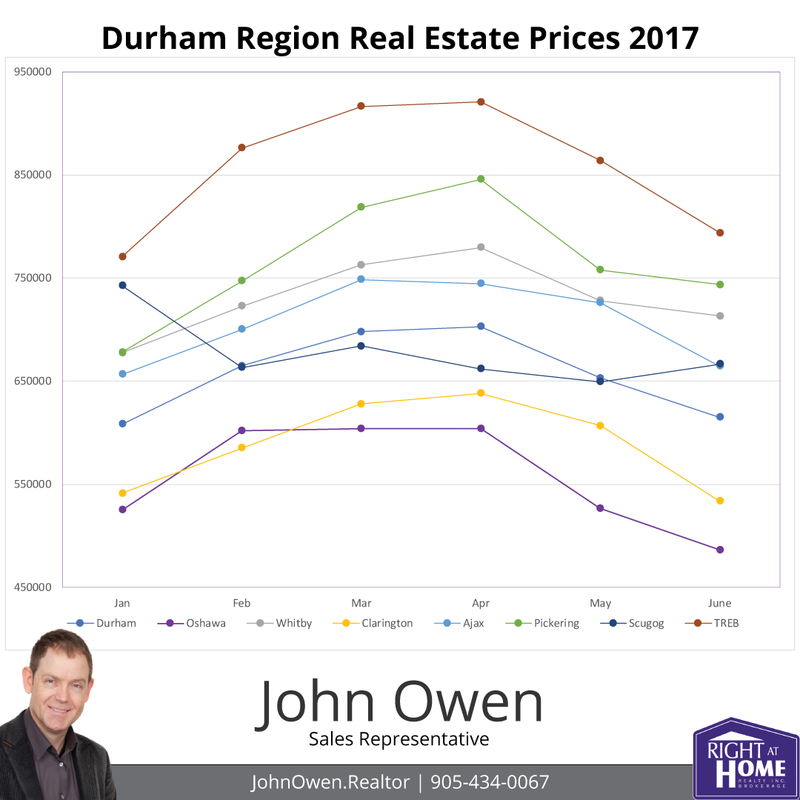 Many areas within the GTA have similar figures, but unsurprisingly to those who read my reports, Durham Region still has the lowest inventory in the entire area. Overall, there is only 0.9 months inventory in the area. In Whitby, there is just 0.7 months inventory. The average listing in Whitby spent 13 days on the market. The TREB average was 15 days. The average listing sold for 99% of asking, again demonstrating that demand is still strong, though multiple offers are not happening on the majority of listings. It is down from April, where this figure was 113%.